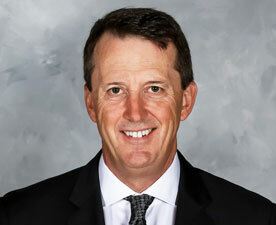 Mark Chipman is the Executive Chairman of the Board of True North Sports + Entertainment and Winnipeg Jets Hockey Club. In addition, he serves as the Governor of the Winnipeg Jets on the NHL’s Board of Governors and is Chairman of the Winnipeg Jets True North Foundation. Born and raised in Winnipeg, Chipman attended the University of North Dakota where he lettered in varsity football while earning an Honors B.A. in Economics and a Juris Doctorate Degree in Law. Chipman entered the business of professional hockey in 1996 through the acquisition and relocation of the International Hockey League’s (IHL) Minnesota Moose to Winnipeg. As President of the Manitoba Moose Hockey Club, Chipman led the initiative that resulted in the acceptance of six IHL teams into the American Hockey League (AHL) in 2001. For the following ten seasons Chipman was an active member of the AHL’s Executive Committee during which time he developed True North’s vision and eventually the opportunity for the return of NHL hockey to Manitoba. Together with business partner David Thomson, Chipman led the team that developed Bell MTS Place, the Bell MTS Iceplex and ultimately the acquisition and relocation of the NHL’s Atlanta Thrashers. The club was re-named the Winnipeg Jets by Chipman at the 2011 NHL entry draft. Chipman has been the recipient of a number of awards including the AHL’s James C. Hendy and Thomas Ebright awards as well as the Order of Manitoba and the University of North Dakota’s Sioux Award. In addition to his business and hockey interests, Chipman is actively involved in a number of Winnipeg community efforts. He and his wife Patti have both played major roles with the True North Youth Foundation since its inception in 1996.